A delicious and simple spaghetti. Quick and easy! You can replace the parsley with basil, or use some of each. 1 Cook the spaghetti in plenty of boiling salted water until al dente. 2 Meanwhile, heat the Olé extra virgin oil in a heavy-based frying pan over a low heat, and fry the garlic for 1-2 minutes, stirring with a wooden spoon to spread the flavour through the oil. Add 2 tbsp cooking water to the pan and stir in the chilli and parsley. Season with salt and cook for 3 minutes, mixing occasionally. 3 When the spaghetti is ready, drain it quickly so it is still rather wet and add it to the sauce. Gently toss to coat, then leave for a minute over a low heat before serving on hot plates. 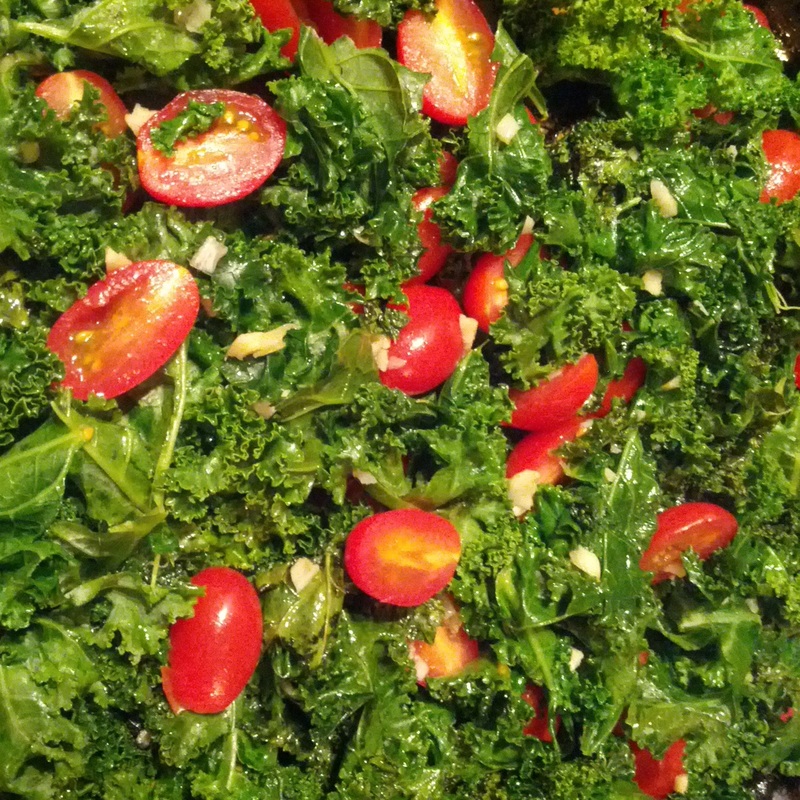 This kale sauté is a great starter. Try it served with salmon or grilled chicken. 1. Heat the garlic and Olé extra virgin olive oil over medium heat in a large saute pan. 2. Add the chopped kale and sauté until slightly wilted, about 1 minute. 3. Add the garlic and grape tomatoes. 4. Sauté for an additional 2 – 3 minutes until the tomatoes are soft. 6. Season with sea salt and freshly cracked black pepper, to taste.